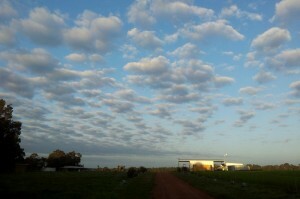 A thick bank of clouds started rolling in just after 5.30 last night. This blanket kept temperatures up overnight and we recorded a minimum of 15 C, which is about 7 degrees warmer than average. Strong winds are forecast for the rest of the day, winter is still hanging on.